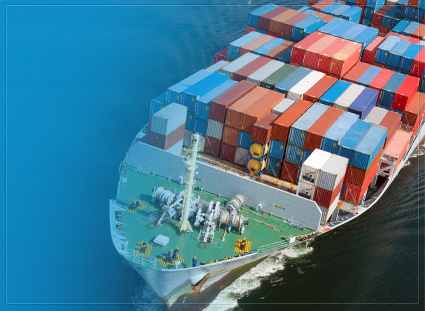 We provide sea freight departure to every major continent in the world speedily and cost savings, either as part of a consolidated or as full containers. Import & Export	full container (FCL) from/to world wide	ports EUROPE, CHINA, INDIA, ISRAEL, AUSTRALIA, CHINA, MALAYSIA, PHILIPPINES, USA, MIDDLE EAST approx 500-600 TEU per month Door Deliver service. Customs clearance for both Import & Export shipment, Inland transportation and Cost calculaton Provide group age	services such as: Re-export, Roundtrip, Exhibi2on shipment. 1249/219 Gems Tower, 38th. Fl., Charoenkrung Rd., Suriyawongse, Bangrak, Bangkok 10500. © Ocean Air International Co., Ltd.